Happy Monday! Today I'm sharing a new-to-the-Hill-House recipe, one that I'm sure many of you have heard of before if you haven't tried it already. 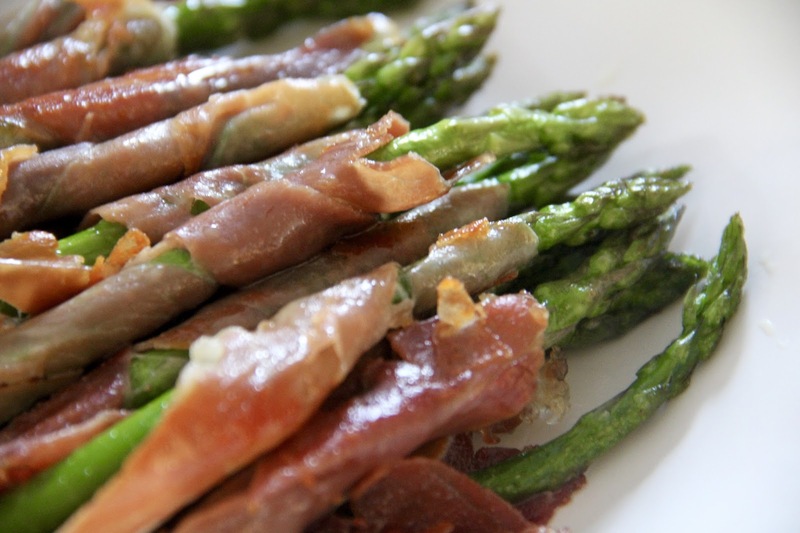 Last week, we decided to give prosciutto-wrapped asparagus a try as an alternative to just asparagus. Because, truly, sometimes dinners can become monotonous and boring. And that's why we're always on the search for a way to mix and match old recipes to create new ones. This is as simple as it looks, and it's super delicious. 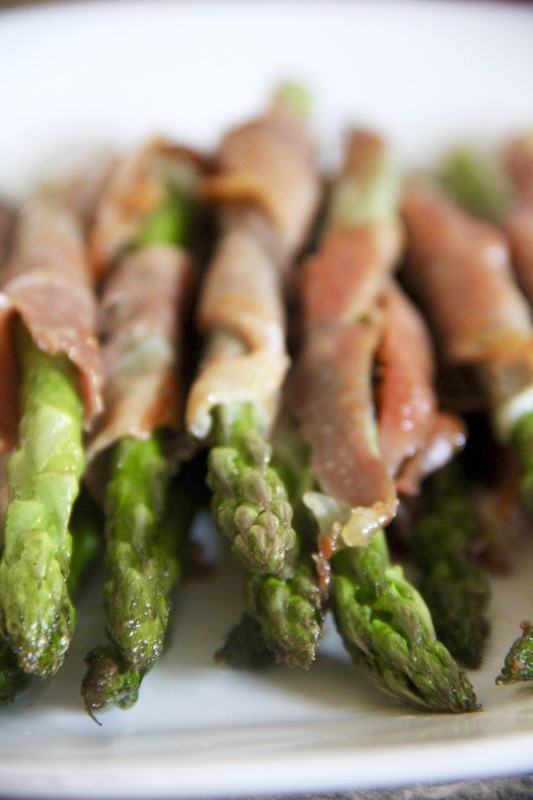 Think bacon-like asparagus. Have I gotten your attention now?? Cut the prosciutto in half, lengthwise, down the middle. 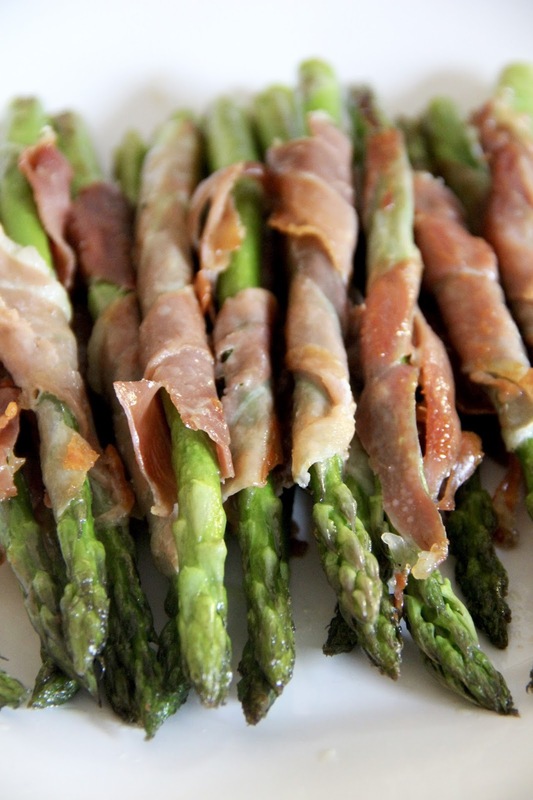 Wrap the prosciutto diagonally around the asparagus. Add the prosciutto-wrapped asparagus to the skillet. Cook for about 5 minutes and then flip. 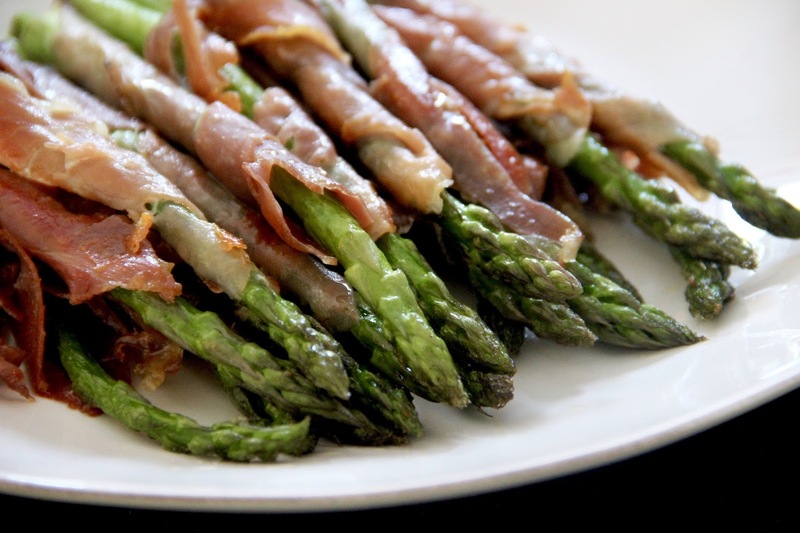 Cook until the asparagus is tender and the prosciutto is crisp. This side dish is so simple to make, and it's an easy way to spruce up a classic and make something even more delicious than what you're used to serving up. What are some of your staple twists on classics?